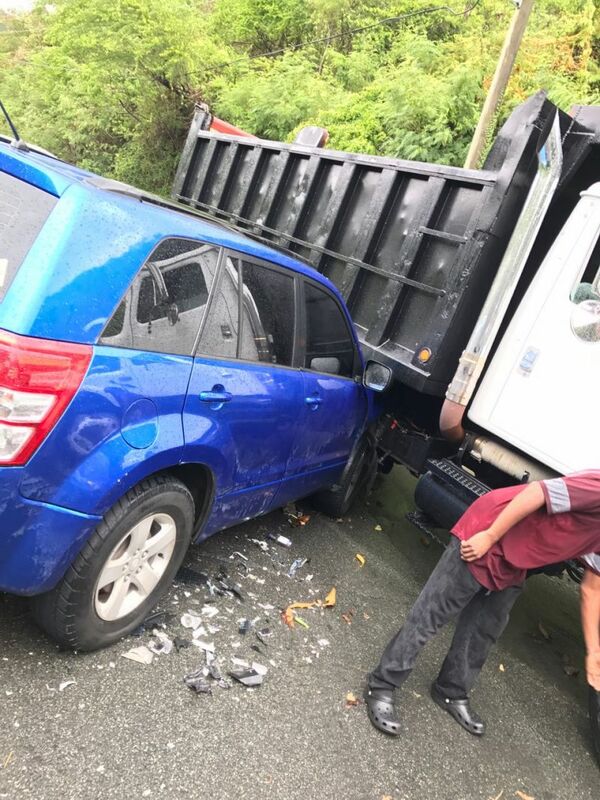 LITTLE DIX HILL, Tortola, VI- It is unclear at this time whether there were any serious injuries when an SUV slammed into the side of a truck at Little Dix Hill on the eastern end of Tortola this afternoon, June 8, 2017. It is the second accident reported for the day, following a mishap involving two motor scooters at Port Purcell this morning. It is unclear at this time what resulted in the SUV crashing into the heavy duty truck. The incident took place around 3:30 PM in the area of the Upper Room Victory Church. The front of the SUV ended up under the truck. This is not a good omen for Tortola, weep the beloved country. Why are there still an investigation when the news clearly stated the the SUV slammed into the truck. That will mean that the driver of the SUV is wrong.